When 3 pm hits in the office, the dragging lagging feelings tend to take over. You know the drill. You’re back at your desk, it’s a few hours past lunch and your body begins to feel zapped of energy. Your tummy is rumbling and you need snacks for the office to get you through the rest of the day. When the end of the day rolls around, the hangry (hungry-angry!) monster comes out. Don’t let the hangry monster win, because we’re sure your colleagues and clients don’t really enjoy working alongside hangry monsters. Instead, grab some Mason jars and set up your own little snack station. 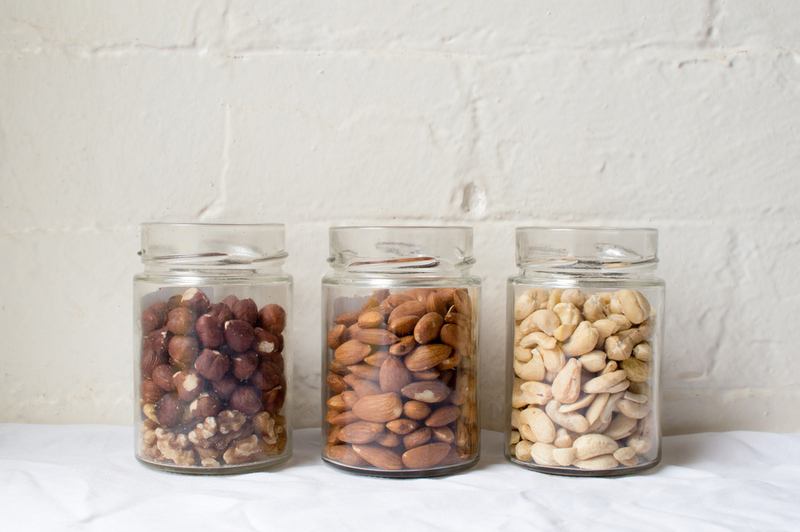 Nuts are a terrific source of protein, so a handful of cashews, pecans, peanuts, or macadamia nuts will help satiate rumbly tummies. If you have a sweet tooth, opt for honey-roasted nuts or chocolate or yogurt covered nuts. We love dark chocolate macadamia nuts—they’re decadent and delicious, plus dark chocolate is chock full of health benefits! 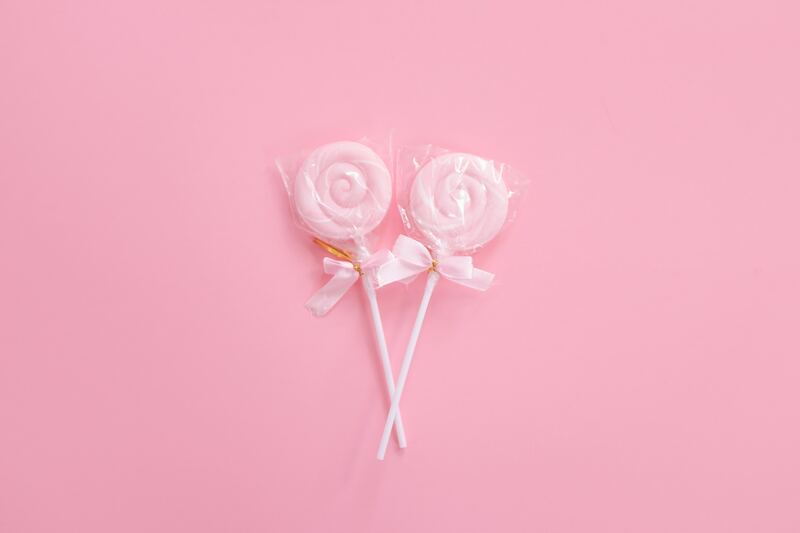 A little sugar goes a long way to shaking off the midday blues, and if you need something sweet and exciting, sour candy can give you just the zip you need. Just make sure to munch on some of those protein-packed nuts with your candy, so you don’t have a blood sugar crash later! They’re perfectly puckery and easy to grab while typing on the computer. 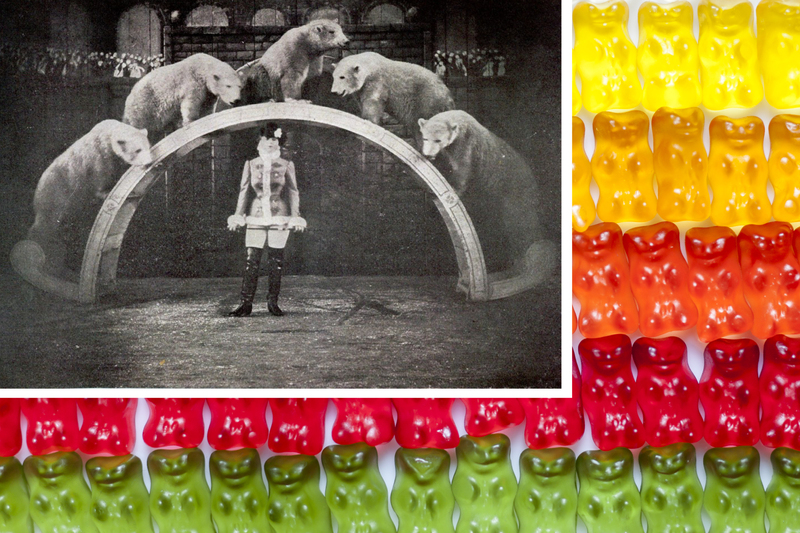 We like to mix sour gummies with fruity gummy rings for a sweet and sour mix. You never know what you’ll grab, and that burst of sour will certainly wake up the senses! 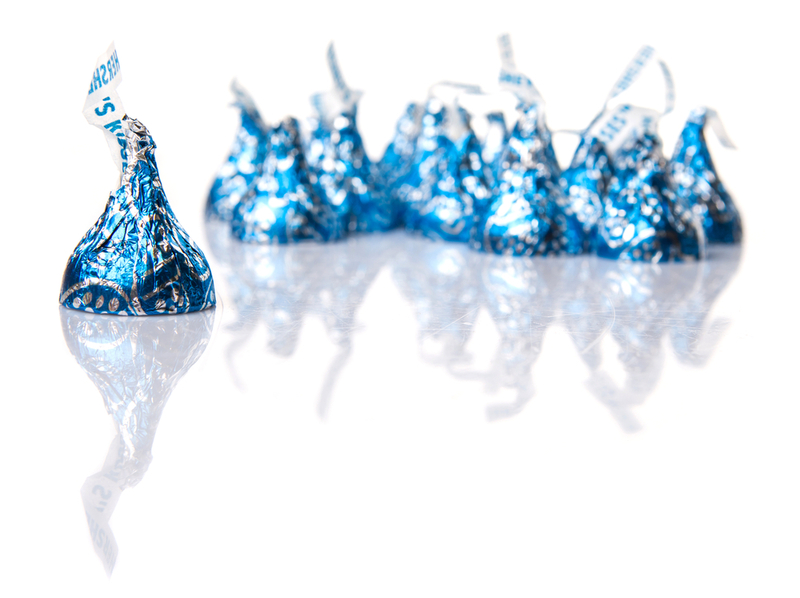 One of the easiest candies to pop in candy jars on your desk are little wrapped chocolates—Hershey’s Kisses! The best part of those cute little kisses is that you’re forced to unwrap each individual chocolate…so it’s a bit harder to overindulge. Well…it’s harder…but not impossible. With kisses, it’s also quite easy to suddenly look down to find a mountain of wrappers. They’re so good…sometimes we can’t help ourselves! Have you ever found yourself talking on the phone to suddenly break into an uncontrollable coughing fit? So embarrassing, but it happens to all of us. 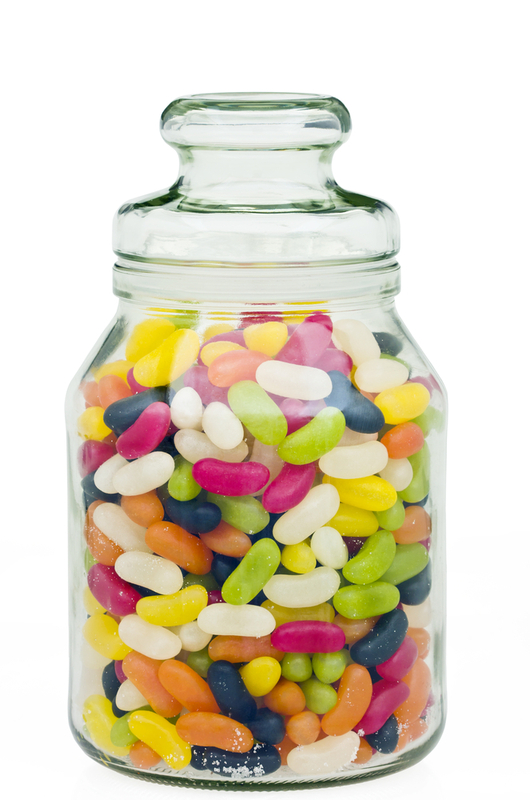 Keep a jar full of hard candies on your desk to reach for in case you need a quick candy lozenge. 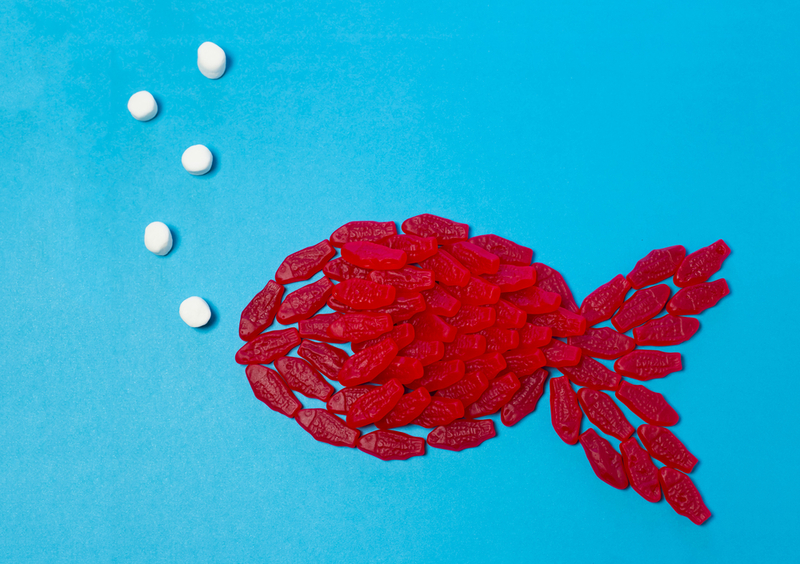 No, they’re not the same as a cough drop…but they work in a pinch. Opt for a variety of flavors like peppermint disks, lemon drops, and butterscotch. A jar of colorful candies also makes for cute desk décor. 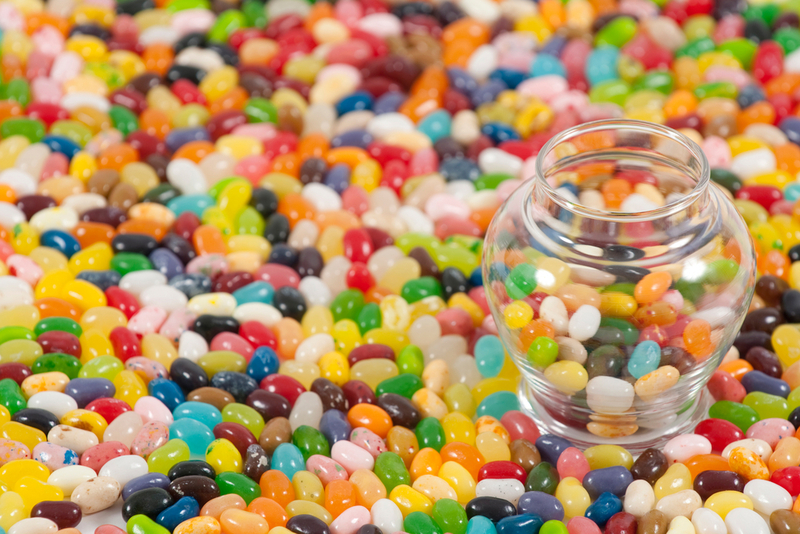 Gourmet jelly beans are a favorite snack. You can mix up your jar with tons of flavors for a variety in every handful. If you’re feeling coy, you might also consider beans of more unusual flavors (think Harry Potter). Have fun with your desk-top candy jars. Create a mix jar and fill it with salty pretzels, sweet M&Ms or Reese’s Pieces, some nuts, or even granola. You’ll have an unusual—but savory and satisfying—desktop trail mix (or office mix). Reach for your mixed up jar when you really need a little element of surprise. Everyone feels that mid-afternoon funk. When your lunch burns out, you need a snack. Create your own little desktop snack bar with jars filled with candy, nuts, and other tasty treats. Or become an office hero by convincing your office manager to order curated office candy from our Candy Club Wholesale! Reach for those jars when you need a boost, a bit of protein, or if you just want a treat! And, remember, it’s always nice to share!